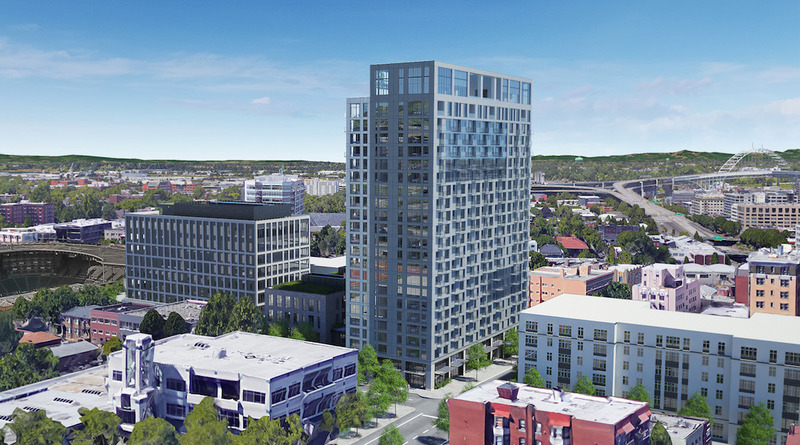 Design Advice has been offered to Allied Works Architecture for the expansion of Providence Park. 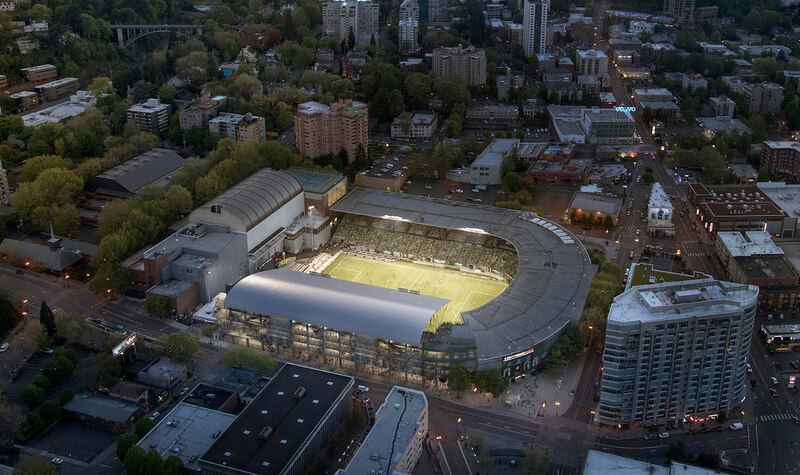 The $50 million privately funded project would add 4,000 seats to the stadium, bringing its capacity to just over 25,000. 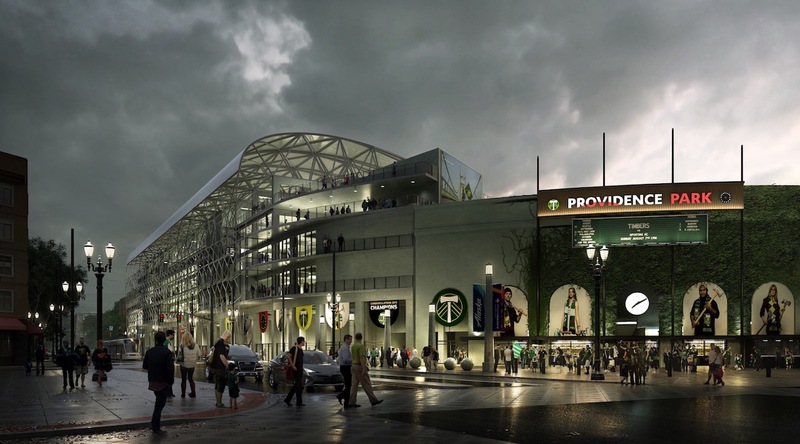 The roof of the new structure will reach a height of 92′-10″ above the sidewalk and 124′-1 1/2″ above the field. 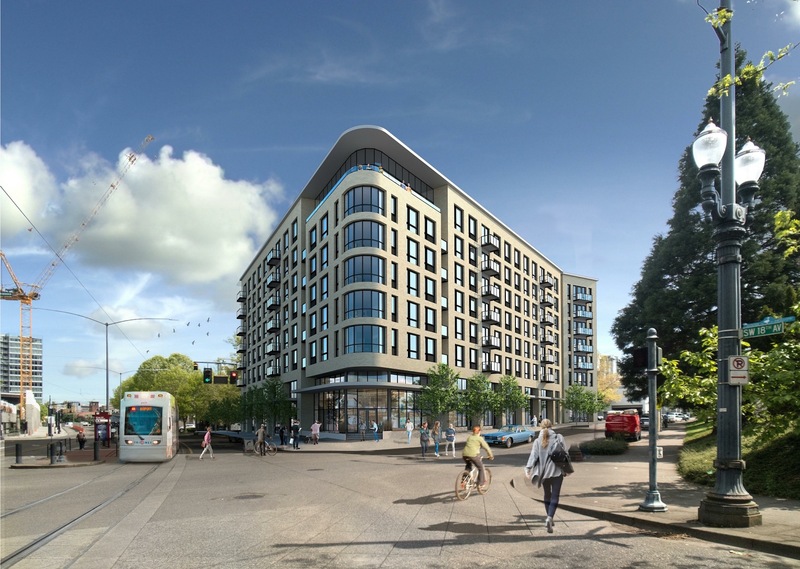 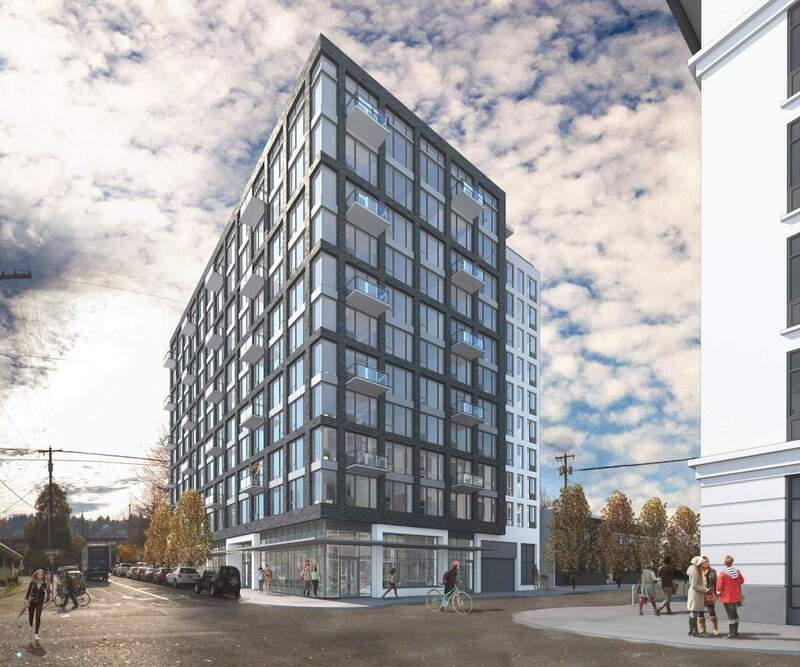 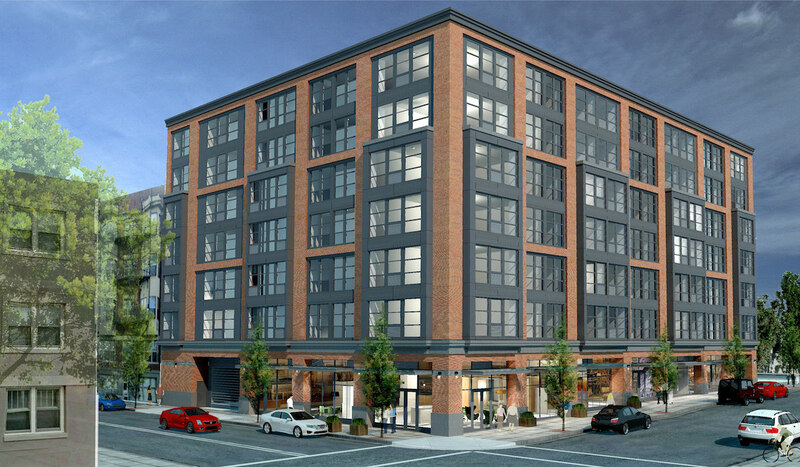 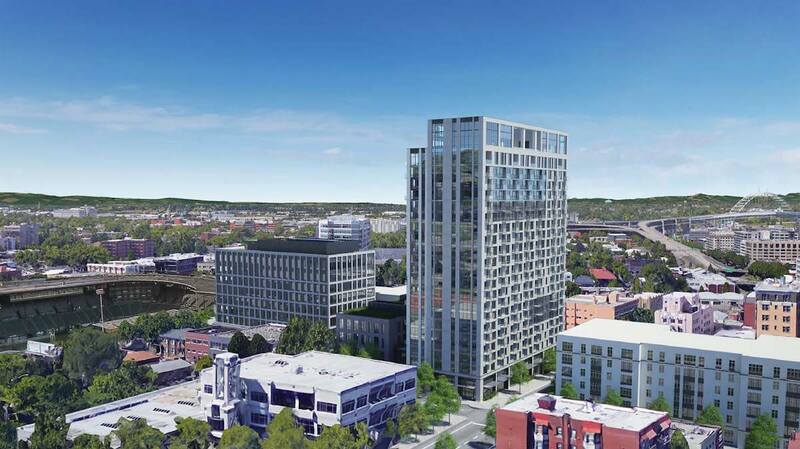 The Design Commission has approved a project by Ankrom Moisan Architects at 1638 W Burnside St. 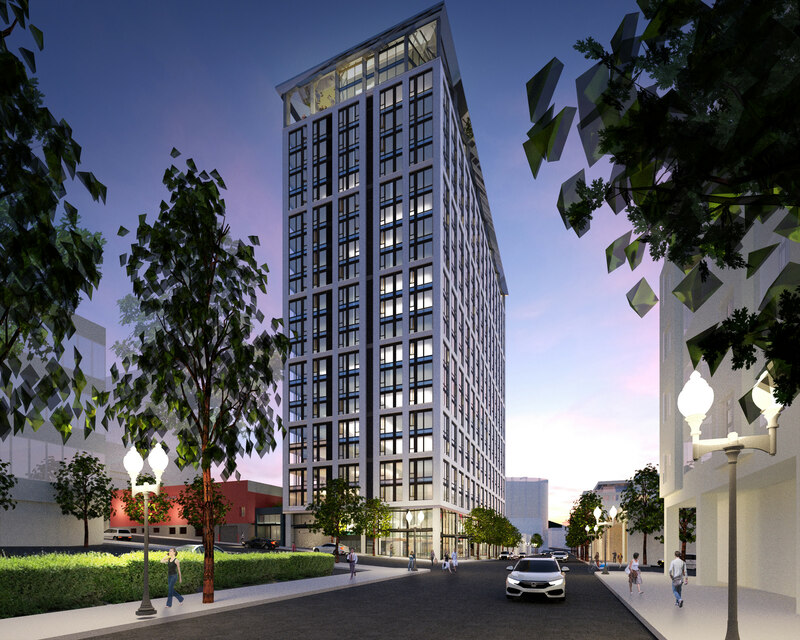 The 7 to 8 story tall building for Atlanta-based developer Wood Partners will include 138 residential units, 83 below-grade parking spaces and 209 long term bicycle parking spaces. 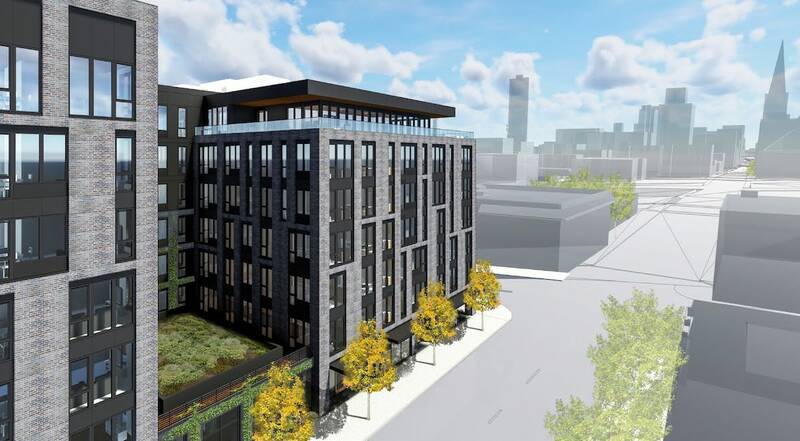 5,924 sq ft of ground floor commercial space is planned, with retail spaces facing W Burnside at Level 1 and SW Alder St and Level 2.